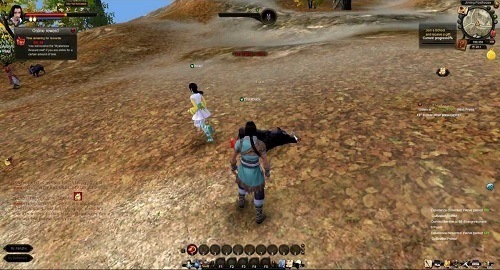 Age of Wushu (Age of Wulin in Europe) changes up the standard fantasy MMORPG setting with a martial arts focused experience that has an impressive feature list. Are you are ready to travel back in time and learn one of the many fighting styles available? Age of Wushu has decided to adopt a free flowing class system which is one of its greatest assets. The only skills that are restricted are the internal skills of each school. Players are free to move between the eight available martial art schools as they please so the game does a very good job at not locking you into your decisions. The game also does away with a level system and instead rewards experience for a range of activities (quests, combat, crafting and more) with converts into Cultivation points which are spent on skills. PvE Combat is very impressive and uses a deep rock-paper-scissors system that captures the realism of hand to hand combat. PvP takes this system a step further by adding a number of other elements to ensure PvP battles are a fulfilling experience. One of the most unique game features is that when players go offline they stay in the game and become a non-player character. Players can then kidnap you while you are offline and sell you to make a profit or to complete a quest. Other players can also intervene to either save you or aid in your kidnapping for Chivalry or Guilt points. These points push you towards either a good or evil reputation and changes which quests are available to you from the various NPCs. 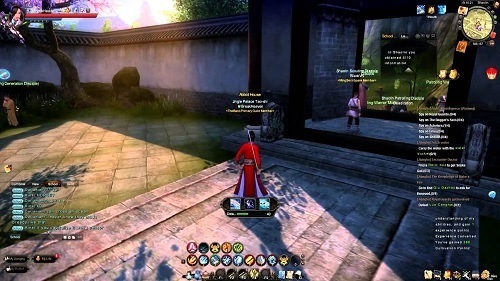 Other fun game elements of Age of Wushu include a mini game based crafting system, an extensive guild upgrade system and the ability to train your character while offline. 8 different martial art schools to choose from. A MMO free from levels and classes to create freeform progression. Offline activities keep your character busy.